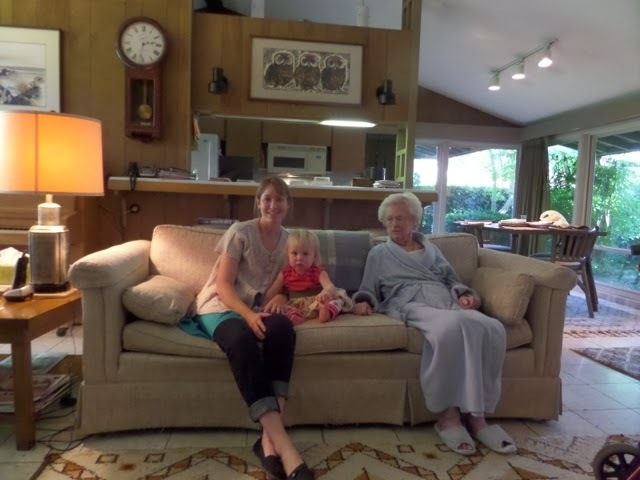 It is really nice to be back in Sacramento visiting with my Nana. These Photos might look the same to you guys, but I love documenting the growth changes of my kids seeing their great grandmother. Piper is starting to recognise everyone as her clan. Even my sister's dog Nessa is becoming a staple for her. Nessa was right next to me as I was putting Piper down to bed. Cousins.